Remember Your Pet - create highly personalised memorials for pet owners following the loss of their pet. Customers have a wide choice of materials, fonts and motifs and they can even upoload a photo of their own pet to be engraved on the memorial. Most of our products are unique and are all designed by us. Default Commission Rates; Standard Purchase: 1+ sales value per month: 6% of order value; £1000.00+ sales value per month: 8% of order value; £2000.00+ sales value per month: 10% of order value. 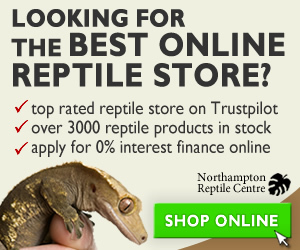 Reptile Centre - Northampton Reptile Centre was established 20 years ago and is regarded as one of the country's leading reptile specialist stores. When you walk around Northampton Reptile Centre, talking to the team, it's evident that the animal welfare is taken personally. Each member of our team are passionate about being part of the Northampton Reptile Centre ethos and community and endeavour to have specialist knowledge of all of our animals in store. They educate and guide all customers on habitats, welfare and correct dietary needs to ensure their reptile pet prospers. Current standard commission of 5% with higher rate commissions to be introduced to enhance specific future on-site promotions. Saddlery Shop - The Saddlery Shop is one of the largest online tack shops in the UK with a huge range of stock and customer service second to none in the industry. The Saddlery Shop has dedicated support for all advertisers within the Paid on Results program. This is provided by the web marketing team at Eventure Internet who, in addition to ensuring applications and commissions are handled promptly, also supply creative banner content and copywriting whenever required. Earn 5% commission on sales. Zooplus.co.uk - is the UK's largest online retailer of pet food and pet supplies. Our rapidly expanding company offers an extensive product range for pet lovers, including food and accessories for dogs, cats, fish, reptiles and small pets. We sell all major brands of pet supplies at competitive prices. We also have a mobile site optimised for phones and tablets and tracking of referrals on mobile devices is enabled. As well as offering the UK's most competitive prices for pet supplies, customers will find a range of other benefits, such as the zooplus loyalty programme and weekly special product offers. UK shipping is also free in on all orders over £25. What's more, new customers receive an automatic 10% discount on their first order. With our Stock Up & Save programme, existing customers who spend £75 in one order also receive a 5% discount. With our Stock Up & Save programme, existing customers who spend £75 in one order also receive a 5% discount. We offer a comprehensive data feed with over 7000 products including special-offer products. Earn 2% commission on sales.